We are a well-known company engaged in offering an exclusive collection of Oil Seals for Paper Industry. The offered products is made under the direction of competent professionals by utilizing optimum grade material and advance machines in accordance with set industry norms. This products is made available in number of specifications according to the information laid down by our customers. Additionally, this productsis properly checked on various quality parameters assuring its flawlessness from our side. 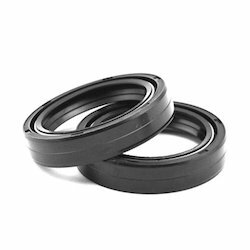 Looking for Oil Seals for Paper Industry ?